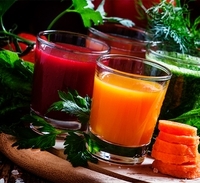 25 Feb 2019 --- Mane is accelerating its expertise in vegetable juice development in partnership with Agrival in Brittany, France, a company specialized in vegetable processing. Located at the center of the vegetable growing area, the production plant is located to minimize the transport time from the field, preserving the freshness of the juices and meeting the growing social and environmental expectations of manufacturers and consumers, according to the company. The company has a range of concentrated juice in liquid and powder form which includes boiled and sautéed profiles to best meet the demand from manufacturers for high quality, consistent and easy to use products. The flavor company will use the IFFA platform (May 4-9, 2019) to showcase its meat capabilities on a global stage. By addressing the requirements of the meat industry in a culinary way, Mane will share its expertise in creating the finest aromatic ingredients and tailor-made functional solutions for meat businesses. At three live-cooking stations – Street Food, Tapas and Ready Meals – visitors can experience fresh, authentic and natural taste sensations and familiarize themselves with current and future concepts for savory food. The interactive stand will provide a platform to educate on the organoleptic profiles of meat creations thanks to advanced technologies. With its product portfolio and solutions to design flavor profiles for various meat and savory applications, Mane will showcase a range of innovations for the meat market. The Pure Capture portfolio covers a variety of natural proprietary extracts, flavors and flavor blends which allow the formulation of high-performing flavor profiles in accordance with stringent regulatory and economic requirements. However, the French flavor houses’ expertise goes far beyond aromatic ingredient solutions. The holistic approach from Mane comprises a whole range of manufacturing issues, such as creating the right texture, enhancing visual aspects or prolonging shelf life. The Sense Capture line provides concrete remedies to sensory challenges such as achieving a natural umami taste, reducing salt or replacing yeast. The company will also demonstrate a variety of masking solutions and offerings for better mouthfeel and will be presenting its blends for reducing or eliminating E-Numbers. Also on display will be a wide range of dry and liquid marinades. Mane creates flavors for everyday products as diverse as beverages, biscuits, confectionery, dairy products, and savory food. Our independence allows us to make bold choices, to venture along new paths… Our independence is the reason why we have developed a sincere entrepreneurial spirit, thus a freedom to think out of the box. Therefore, we want to be a different partner, committed to doing more, in a different way. In an ever-changing world, we stand for what we believe in. Cutting-edge flavours, seasoning blends and a unique expertise for designing sweet to savoury products, combined with an unrivalled knowledge of natural raw materials to bring you the best of nature. A mix of precious natural essential oils and innovative molecules, resulting from a century of know-how and state-of-the-art extraction technologies, observing trends, giving shape to creation and finding answers to consumer needs. Synthetic molecules and natural Ingredients coming from remote parts of the world are further elaborated thanks to our in-house technology, partnerships with local producers or internal fundamental research and constitute a comprehensive collection for the most qualitative and thrilling creations.